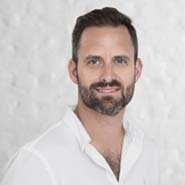 James joined eve in September 2018 having previously been Managing Director of Moonpig, the UK's leading online greetings card, flower and gift company, where he delivered four consecutive years of double-digit revenue and EBITDA growth, expanded the product offering, and led the successful rebranding of the business in 2017. Prior to Moonpig, James was part of Direct Line Group and formerly Direct Line Insurance for more than seven years where he held a number of senior divisional and marketing roles across the Group before becoming General Manager of Commercial Direct in 2012. 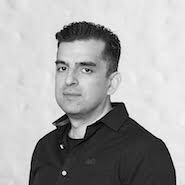 Abid joined eve in 2016 from Capita Plc, having been Chief Financial Officer and then Chief Executive Officer of AXELOS Ltd — a joint venture between Capita Plc and the UK government. Prior to this Abid held senior positions within Capita group as well as Ernst & Young’s M&A team. Abid is a Chartered Accountant. Founder of eve and Chief Brand Officer, Kuba was previously Head of Sports Marketing at Channel 4 running the multi-award winning Superhuman Paralympics campaign and also headed up its in-house creative agency - 4 Creative. He previously worked in leading advertising agencies for McCan Erickson, Fallon and JWT among others. Kuba is also an award-winning international photographer. 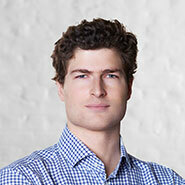 Now Chief Operating Officer and co-founder of eve Sleep, Felix was previously Vice President at Rocket Internet and Head of Zalando UK. He started out in key project management roles with ITV and Diageo before moving into the world of startups, launching a fishing startup and the Indian Fashion platform Jabong. 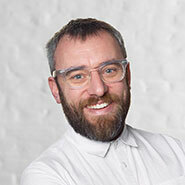 Paul joined the Eve board in November 2016. Prior to this, Paul spent 26 years at Capita Plc, retiring in February 2014. Paul was one of the UK's longest serving CEO's of a FTSE100 company. During his tenure, the market value of Capita grew to £7.5bn and employee numbers grew from 33 to 62,000. Paul was a founder investor in online estate agent Purplebricks which originally launched in April 2014. Paul is chairman of the company which is now listed on AIM. Paul has previously been chair of the NSPCC's Corporate Development Board and of Great Ormond Street Hospital's Corporate Partnership Board and is now an active supporter and adviser to Beanstalk, the reading charity focused on helping children aged 3 to 13. Nikki joined eve in September 2018. Nikki is founder of brand and communications consultancy The Active Strategist and has previously held senior roles within international agencies including McCann Worldgroup where she was Regional Planning Director EMEA, and as Chief Strategy Officer for McCann London for seven years. Tom joined eve in April 2017. Tom was most recently CEO of Leisure Pass Group (“LPG”) a private equity owned leisure business. Prior to LPG Tom spent over 15 years leading brand transformation and growth for tech-enabled consumer businesses including Kano Computing, Match.com, E*TRADE, AT&T Wireless and Clearwire. The Board is committed to achieving high standards of corporate governance, integrity and business ethics. The Board is collectively responsible to the shareholders for the overall direction and control of the company and has powers and duties set out in the relevant laws of England and Wales and the company’s Articles of Association. The Board delegates certain matters to committees of the Board as outlined below and delegates the detailed implementation of matters approved by the Board and the day to day management of the business to the executive directors and senior management. The Board has established the Audit Committee, the Nomination Committee, and the Remuneration Committee.